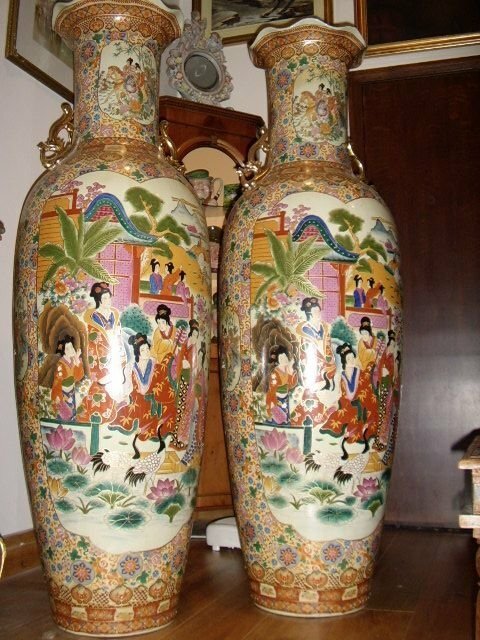 A STUNNING PAIR OF ORIENTAL ENAMELLED JAPANESE VASES IN HARD BONE CHINA LATE 20THC. 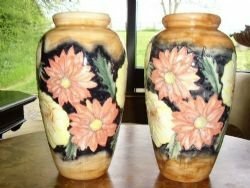 These vases were originally bought over 30 years ago for decorative purposes,to stand in my conservatory and are probably copies of earlier examples. 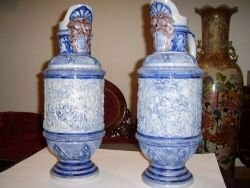 They are in excellent condition with no damage. 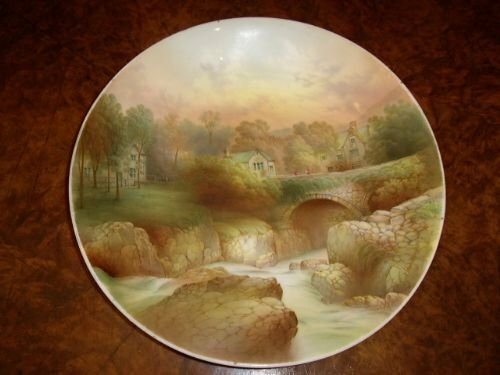 The scenes depicted are cleverly hand enamelled with great detail and overpainting using gold. 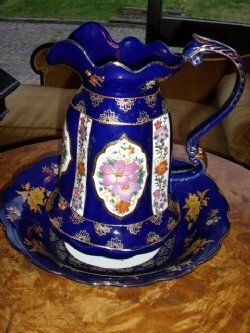 They have fluted tops with a pair of gold covered handles to give them a balanced look. 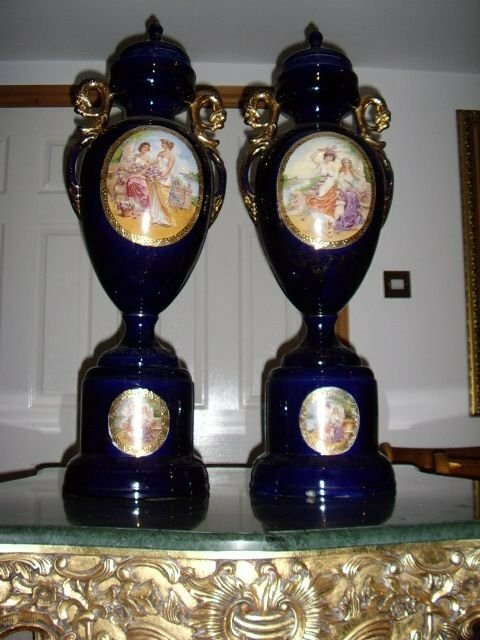 A fine pair which would be hard to replace for the price being asked. 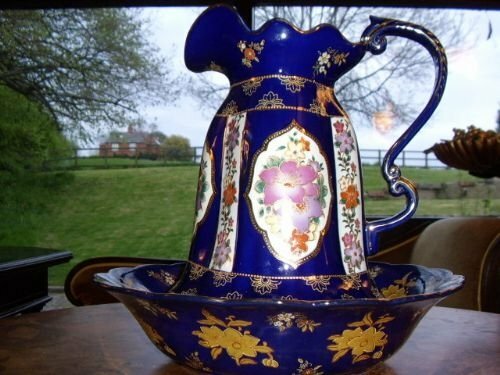 VICTORIAN STYLE JUG & BOWL IN COLBALT BLUE & FLORREL GILT FINISH. 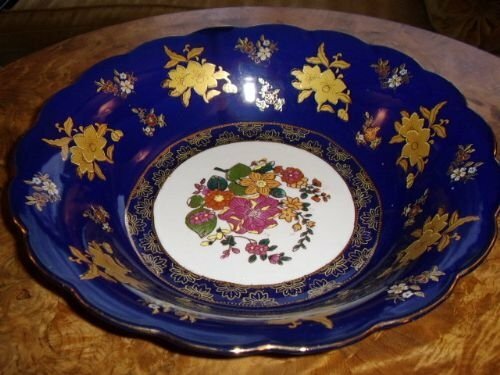 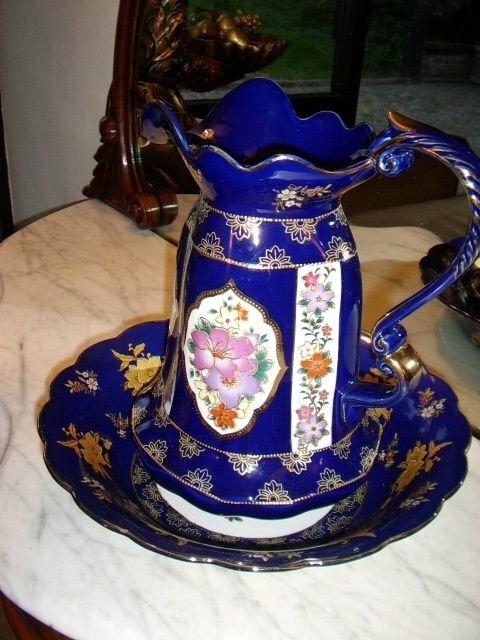 A stunning Jug & Bowl finished in a rich colbalt blue glaze,decorated with flower cameos and gold leaf flower designs. 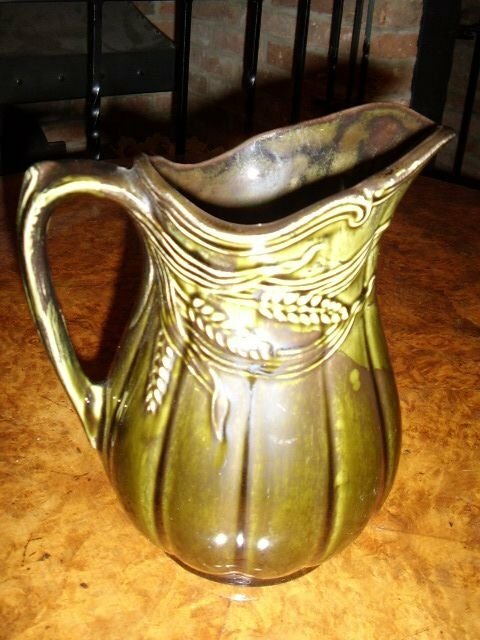 This jug & bowl is a copy of an earlier antique version and wold be impossible to find a period one as so many sets had their main bowls broken. 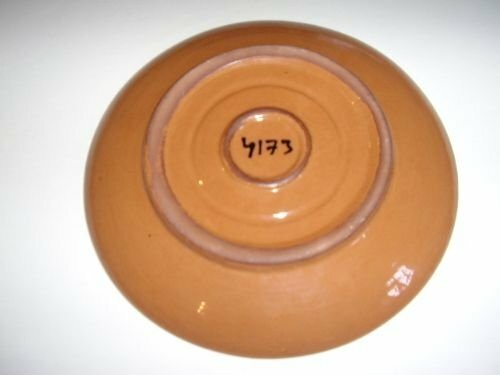 This item is in perfect conditionand has no repairs. 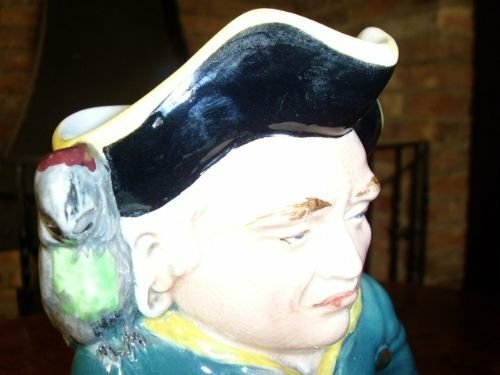 A Burlington Ware porcelain Charactor toby jug depicting the well known 'Long John Silver' with his parrot friend sitting firmly on his right hand shoulder. 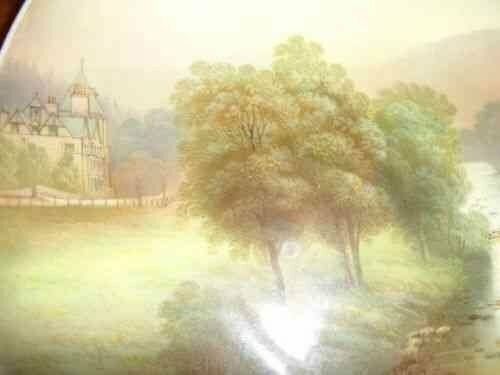 All in good condition with no restoration seen. 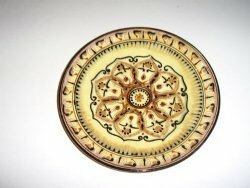 Width 5.25 Inches Square re Base. 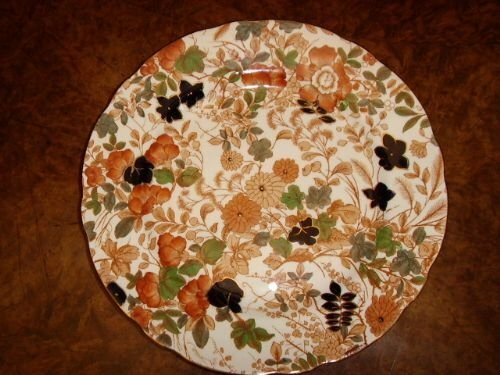 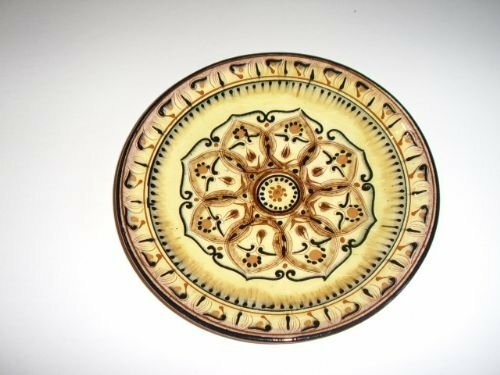 A fabulous earthenware terracotta hand crafted plate,depicting in hand applied multiple glazes,an old tudor rose english emblum design. 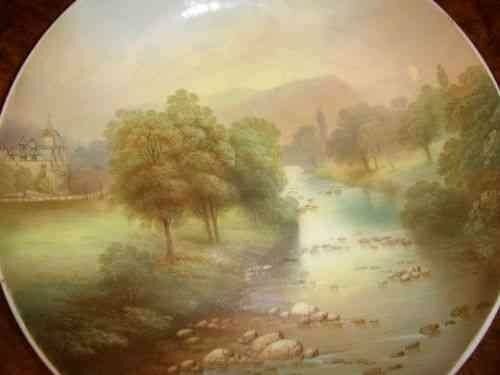 This is a beautiful one off example in perfect condition,measuring 9 Inches in diameter. 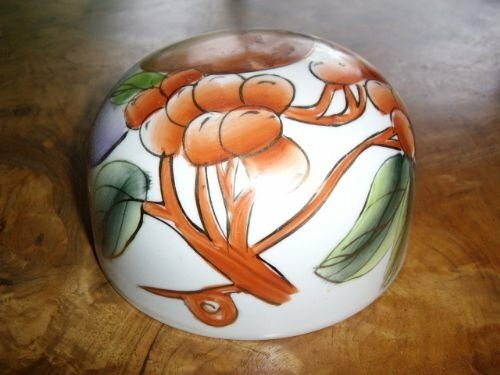 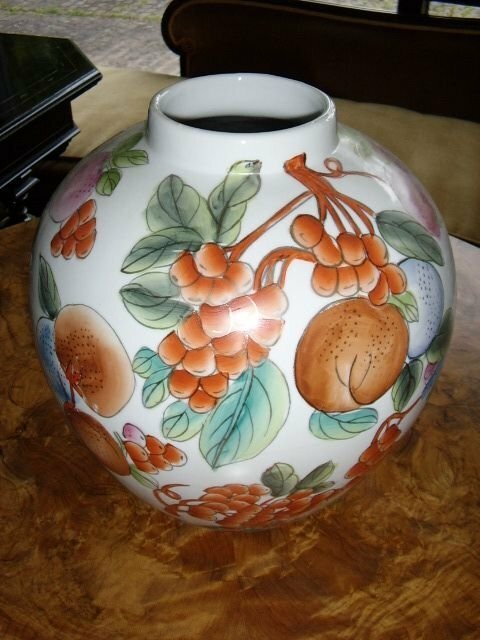 A modern porcelain ginger jar with oval dome capped lid and finished mainly in orange grape & leaf decoration. 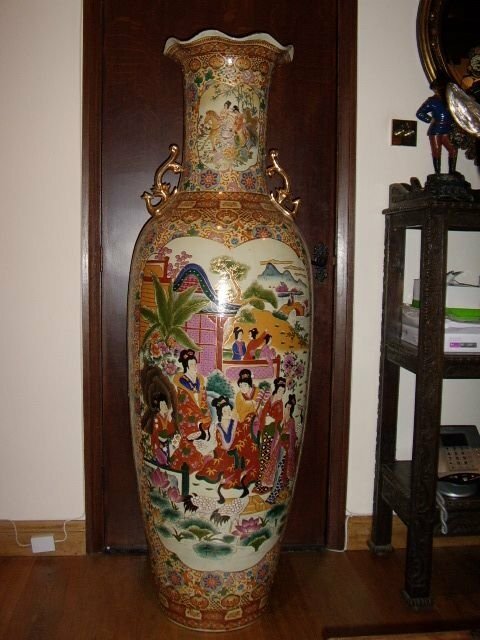 This item is of good proportion and is in clean condition throughout with no damage or repairs. 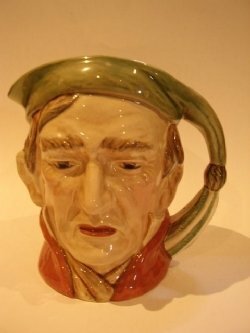 A most delightful example of the famous charactor Scrooge toby jug. 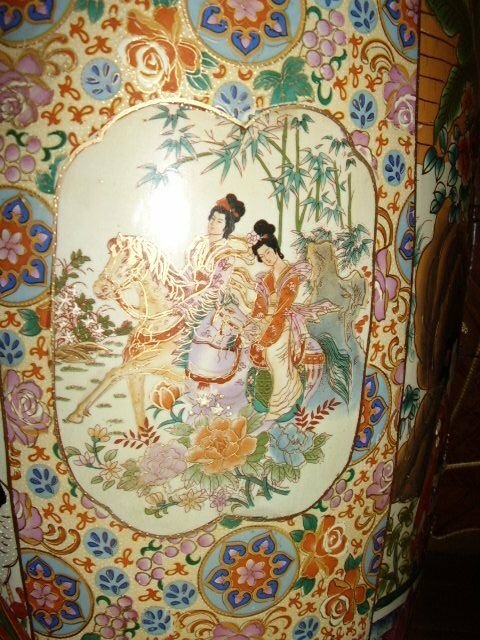 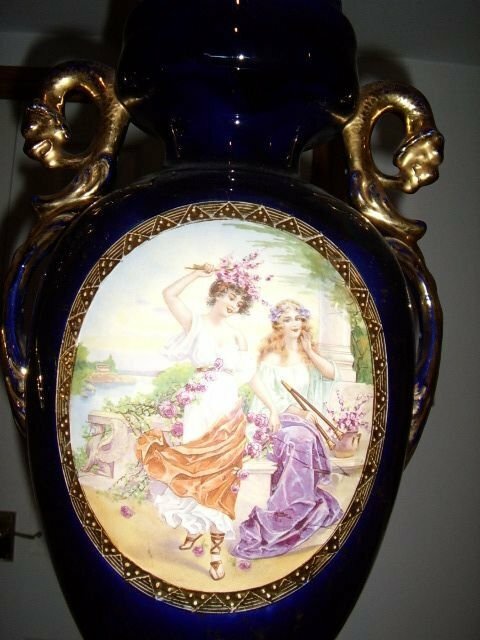 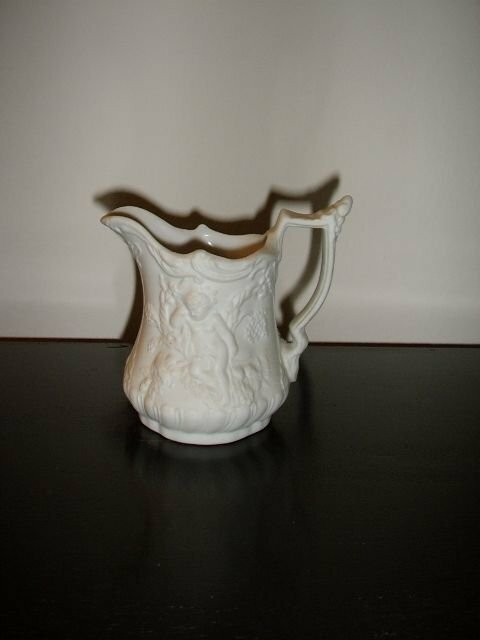 This item is a collectible piece of porcelain and has a highly glazed finish. 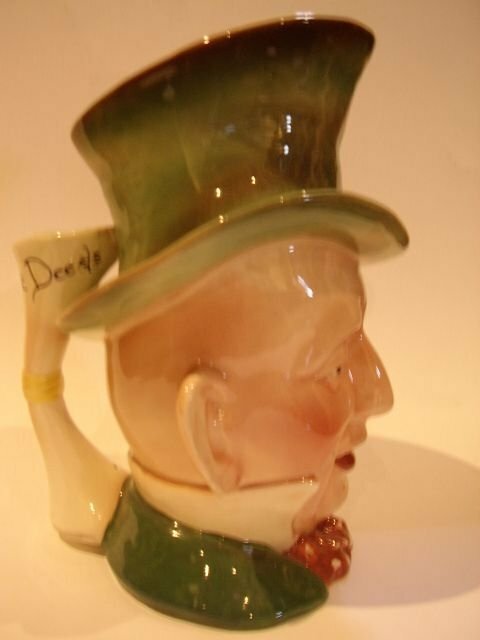 Impressed stamp underneath reads Scrooge No 372.Beswick England. 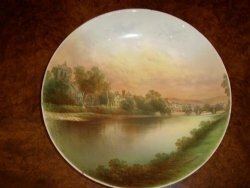 Black Ink Stamp underneath reads Beswick Ware Made in England. 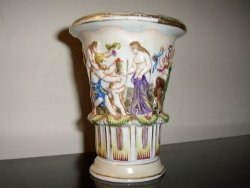 Measurements are 7 Inches High x 6 Inches Width. 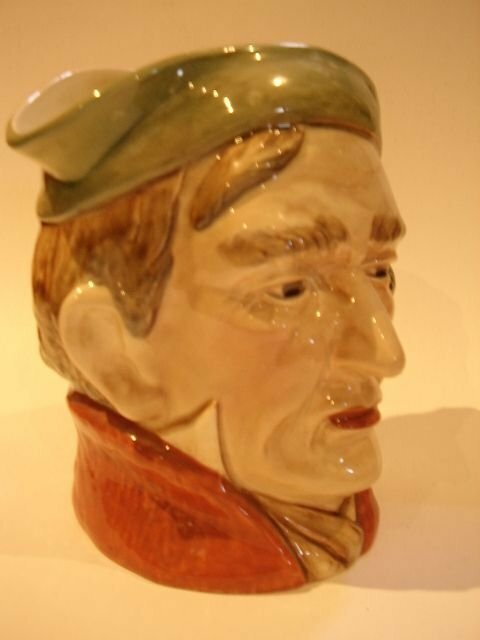 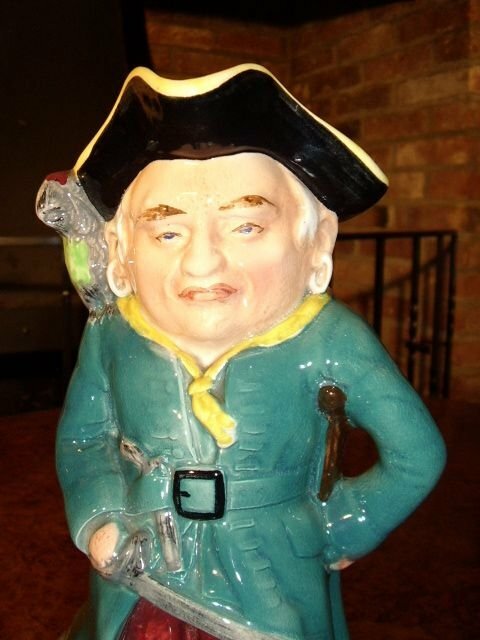 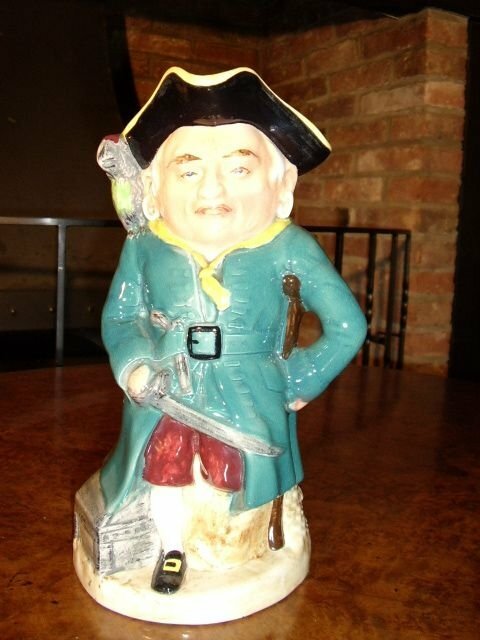 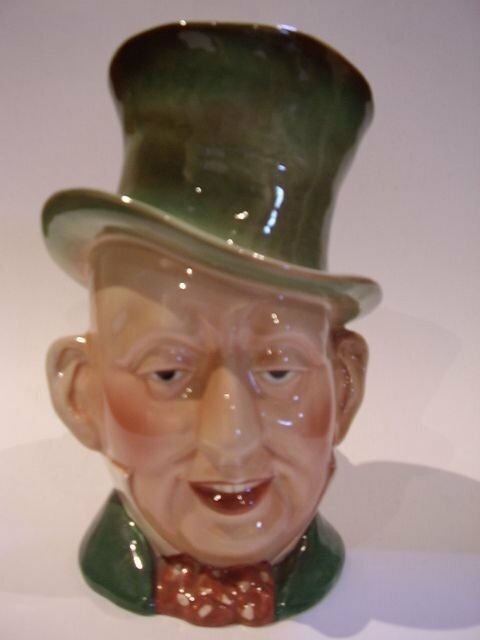 A Large Beswick toby charactor jug of Micawber,being a later mark 2 example. 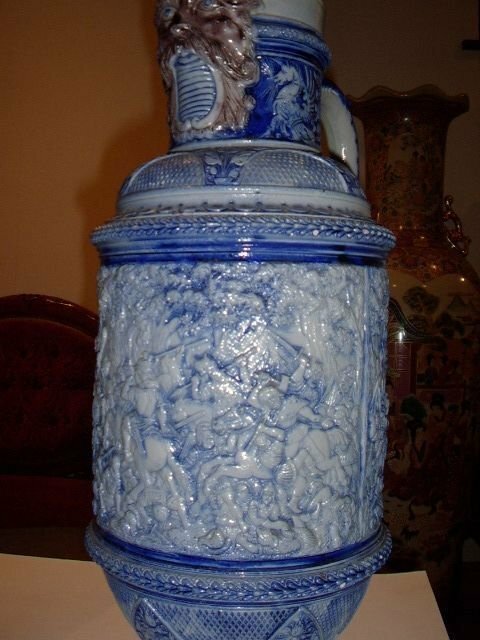 The item is in excellent perfect condition and is finished with a high glaze. 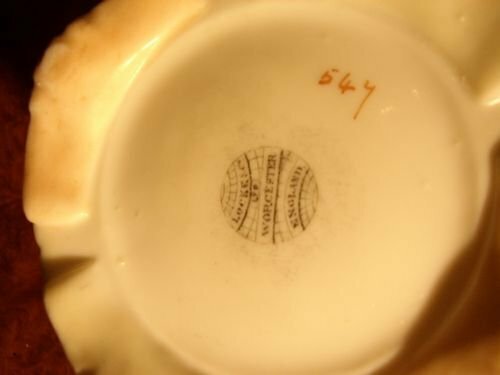 Impressed stamp underneath reads Micawber No 310 Made in England. 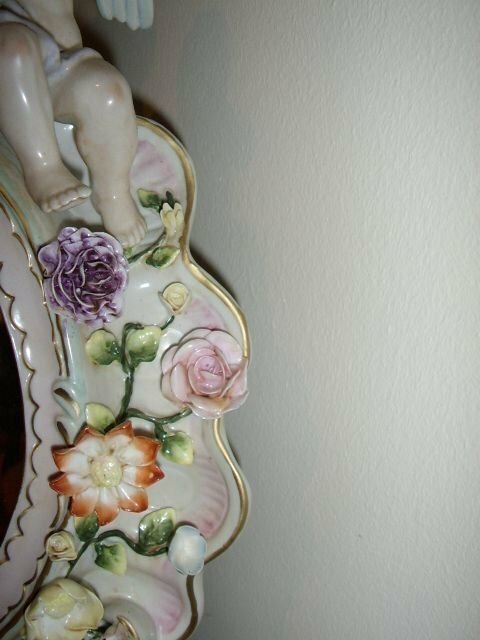 Measurements are 9 Inches High x 6 1/2 Inches Width. 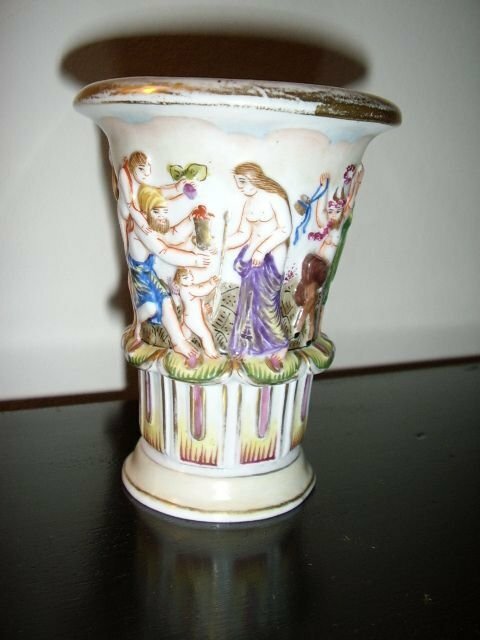 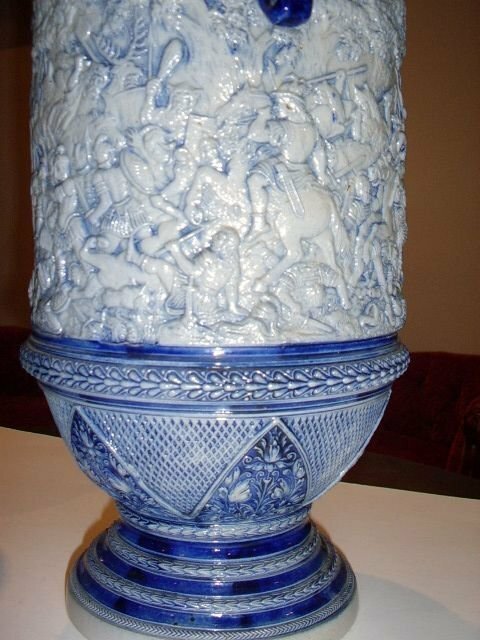 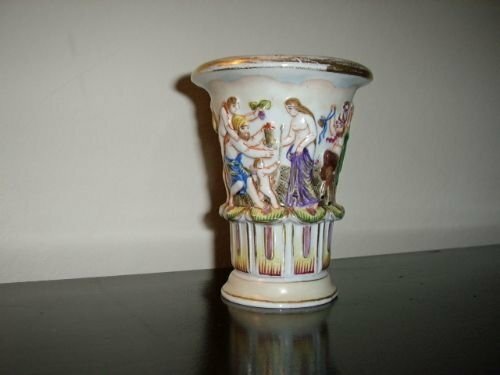 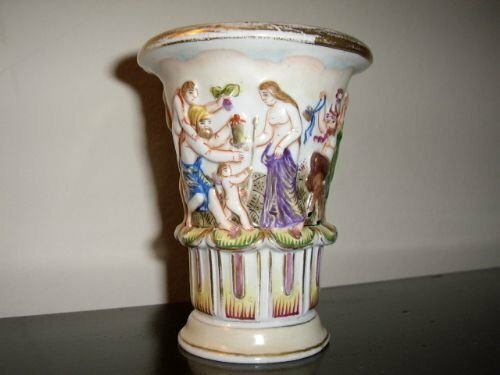 A colourful and interesting vase with raised decoration of neo-classical figures intertwined in the storeyline. 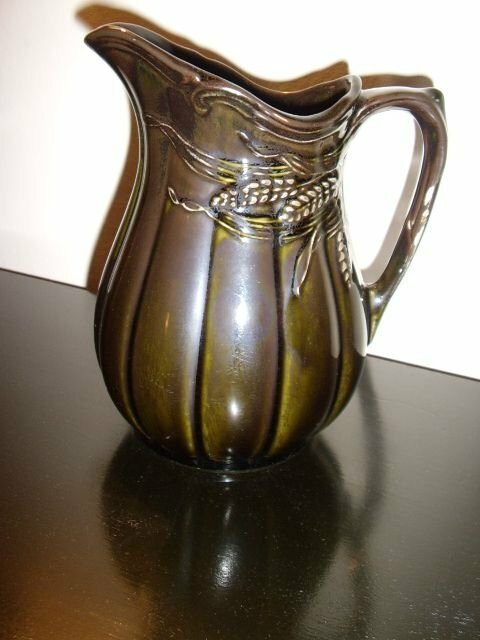 A good old solid and well glazed Edwardian period kitcken jug,finished in dark green with a wheat motif design.It has a nice shape with ribbing down the main body. 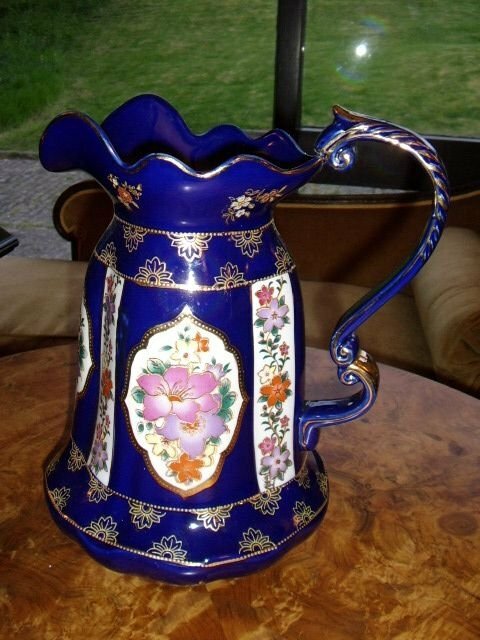 Good condition throughout with a solid handle and quite usable on a daily basis. 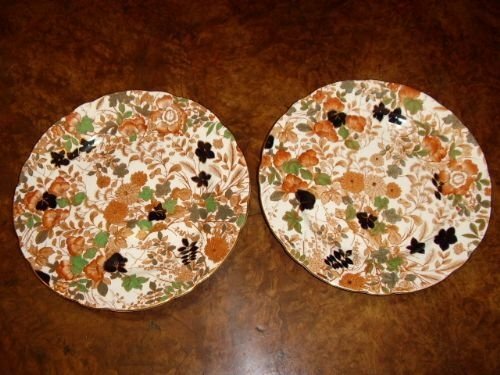 A fine pair of Royal Cauldon florrel patterned sandwich or cake plates. 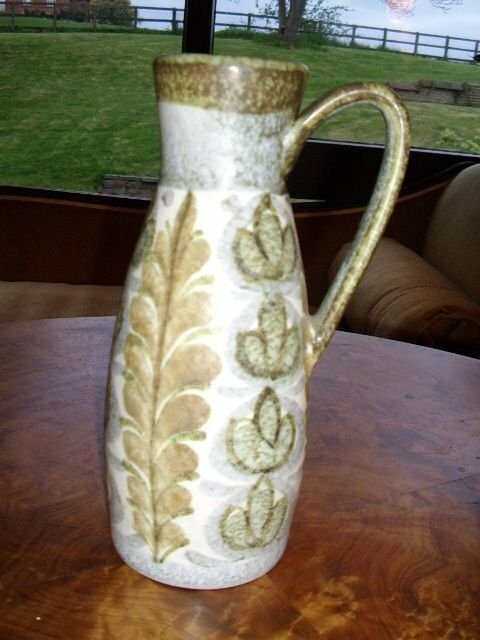 Gold finish to edges and well glazed surfaces. Lovely condition and quality finish without any visable wear. 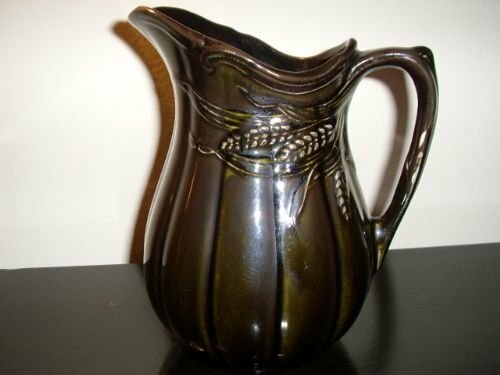 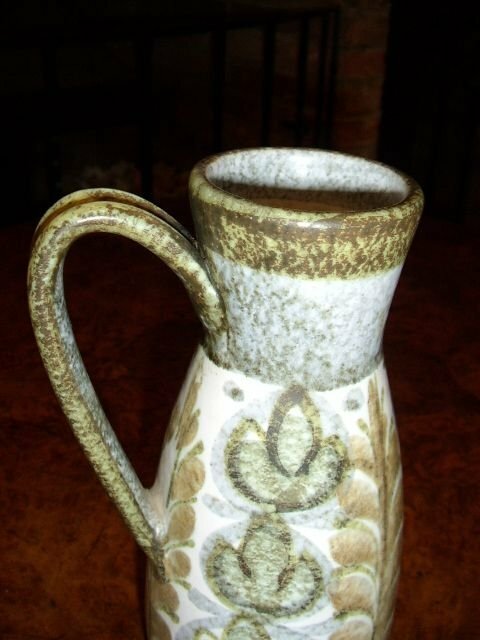 An interesting hand made Bourne Dneby Jug with a leaf pattern design. 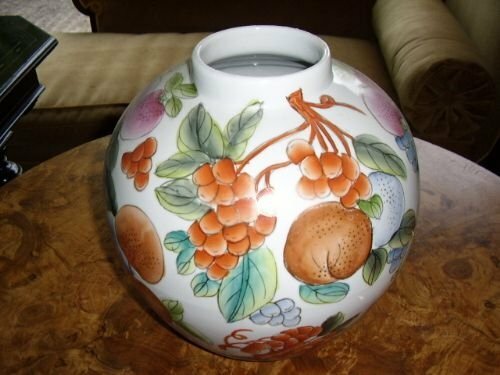 The item is glazed inside and has a firmhandle. 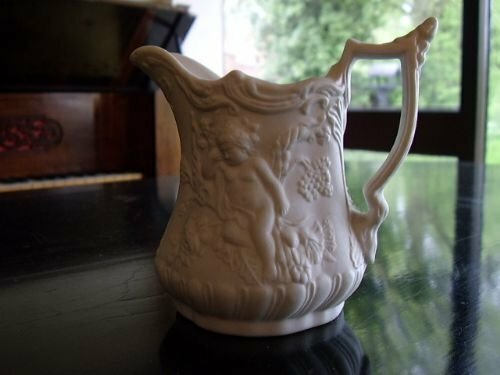 Perhaps a oneoff and ideal for watering the plants. 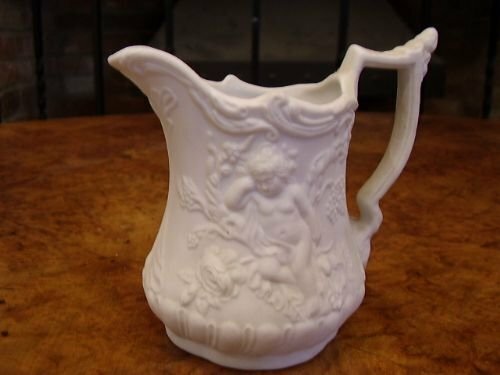 A small Parian milk jug depicting cherubs on both sides.The jug has a national off white bisc finish. 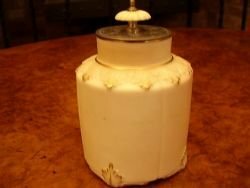 There are no damage or repairs. Width 4 Inches Handle to Spout. 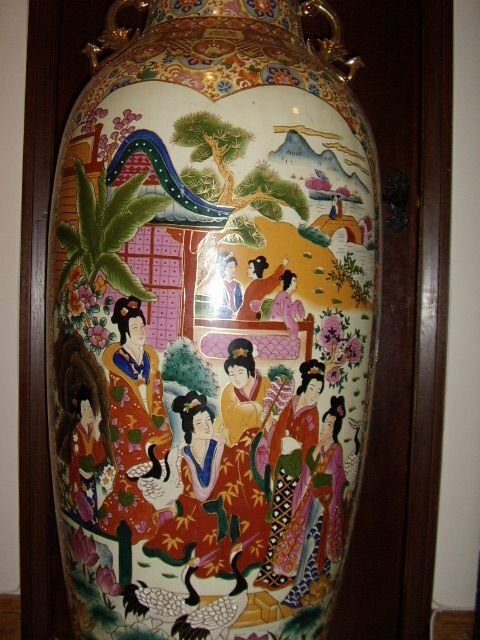 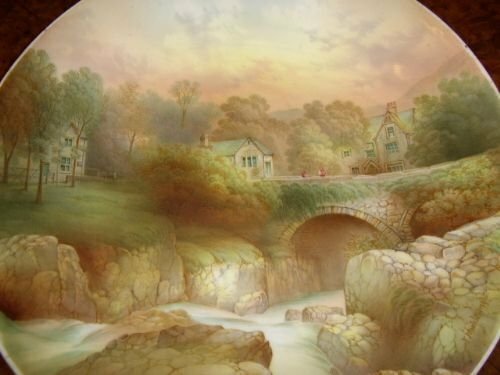 The Quality of hand painting is on a par with artists who painted for Royal Worcester. 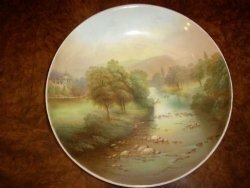 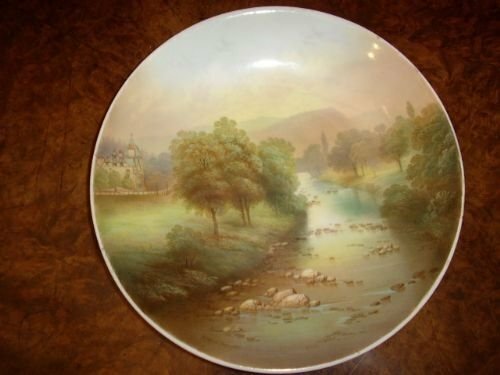 The details of the location are painted on the reverse of the plate and has the artists signature on the front. 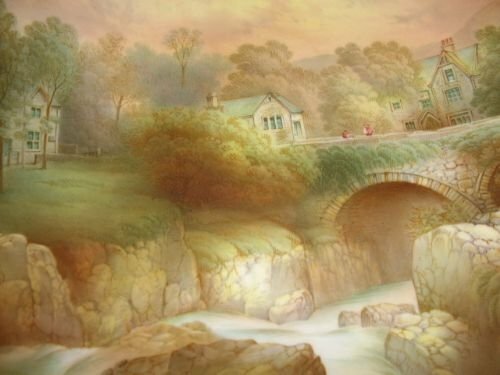 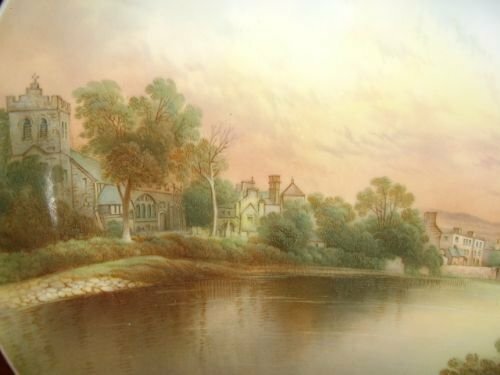 A fine example of a hand painted scene by well known Welsh artist F.Micklewright,showing a view of the river from Waterloo Bridge,Bettws-y-Coed. 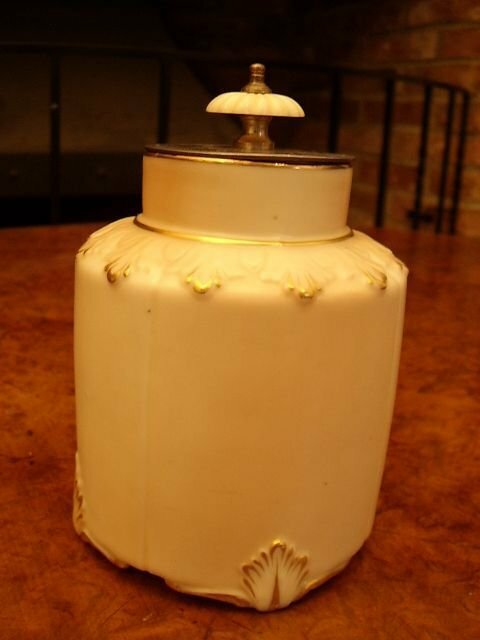 A fine example of a very early original Worcester factory porcelain breakfast Jam Pot,made back in 1896,when the manufacture was Locke & Co.
Later the company became Royal Worcester. The lid is made from pewter and has a decorative etched design and there is a nice Ivory or bone button to lift the lid off. 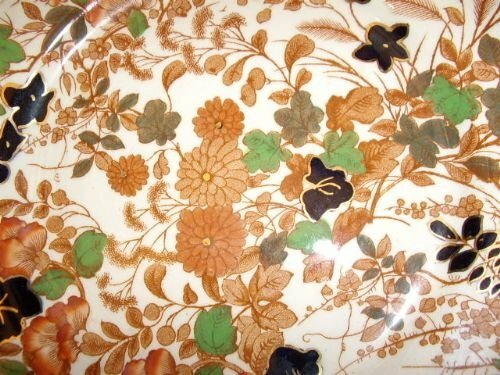 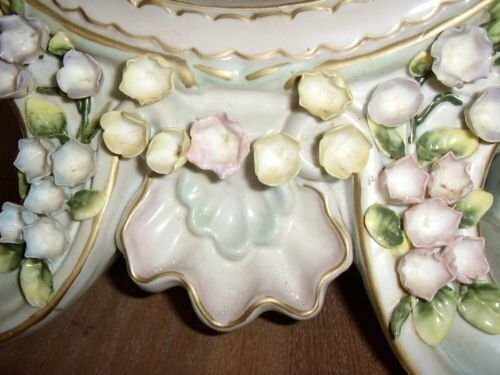 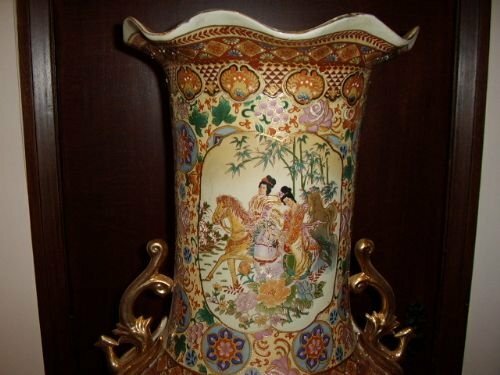 The item is rare and is finished in the blush style and has light gold leaf highlights around the rim,neck and on the leaf decoration seen throughout. 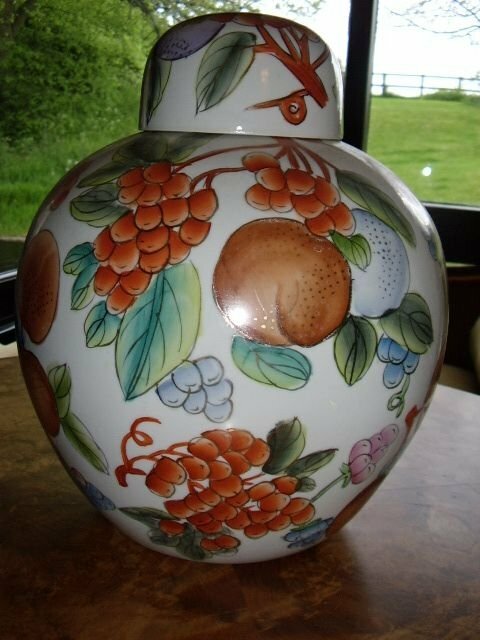 Very good with no cracks or repairs. 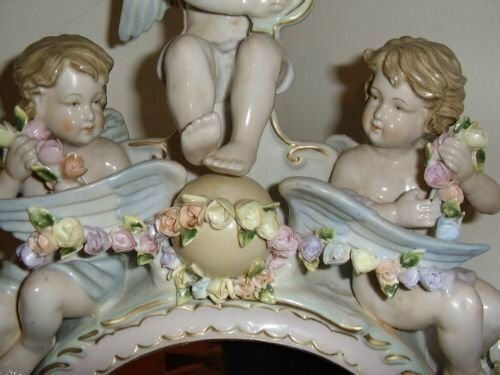 The main Cherub of three,sitting on the top playing musical instrument in hand. This piece has a round beval cut quality mirror and has no damage at all as it has been re-silvered & sealed with green felt. 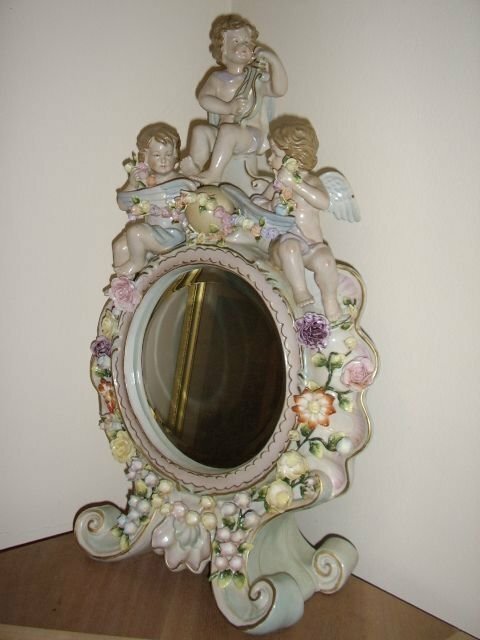 Condition is good for such a delicate piece. FLORIAN WARE VASES WITH ENAMELLED FINISH 11.5 INCHES HIGH. 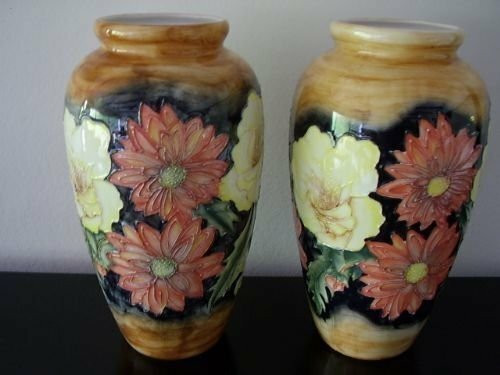 A fine pair of Florian Ware vases,being very simular to Moorcroft,but at a fraction of the cost. 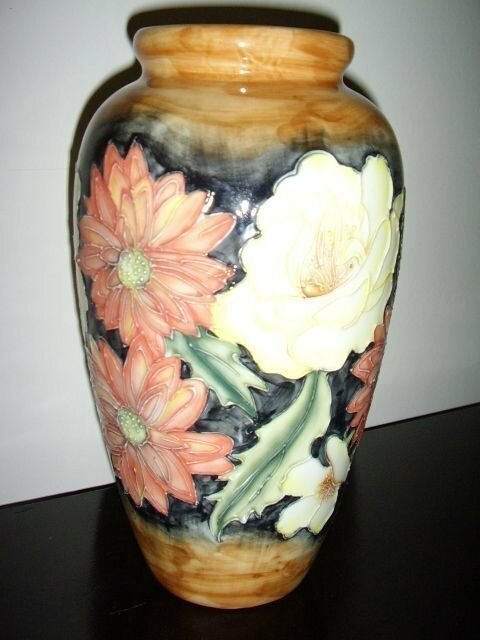 The flowers are beauifully drawn and colours are fantastic.We have had three attempts to photo them,as the flash has lightened the colours abit. 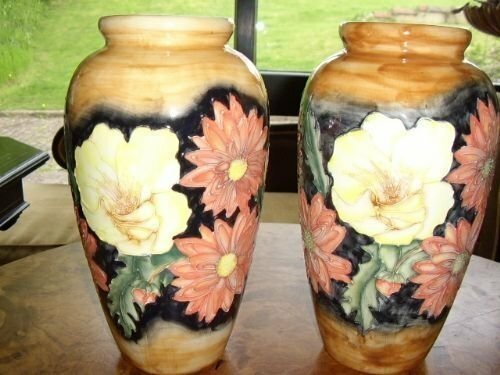 Both vases are perfect with no damage or repairs. 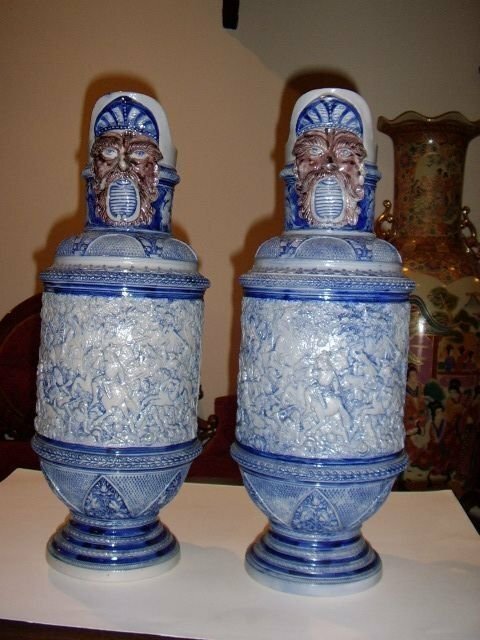 These Euwers are quite usable and would compliment the interior of someones grand residence,each telling a story in its design. They are both in perfect condition and are extremely well detailed from top to bottom. 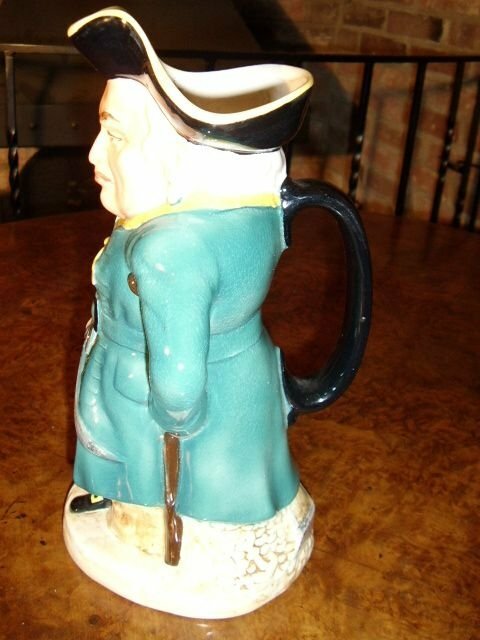 The handles add another 2 Inches. These Euwers are fairly rare in this very large size and would be hard to replace. 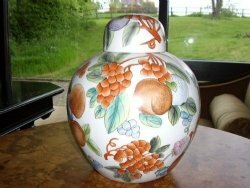 Please Request a Quote for Delivery by providing your Post Code. 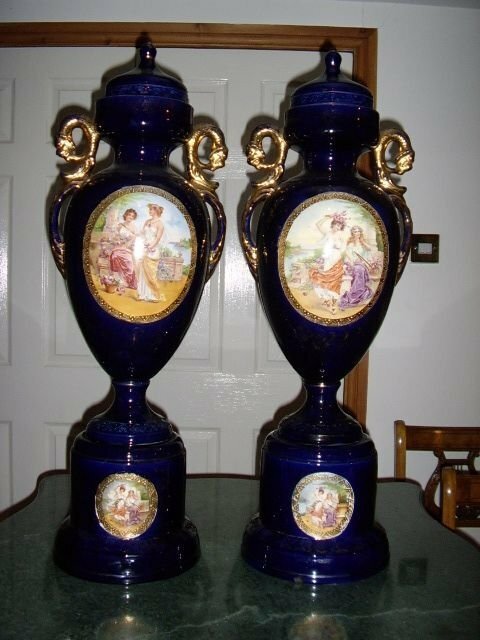 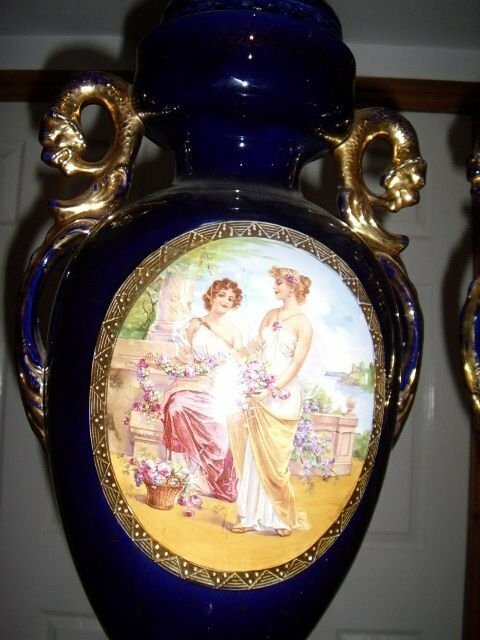 A fabulous pair of Austrian Vienna vases with original stands in colbalt blue finish with oval panels inset with 17th.century scenes bordered in gold decoration. 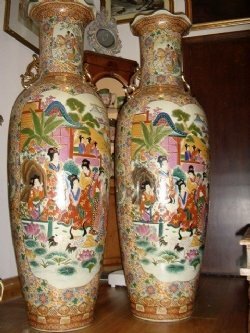 The vases have a matching pair of symetrical gilt scrolled handles and still retain their lids on top. 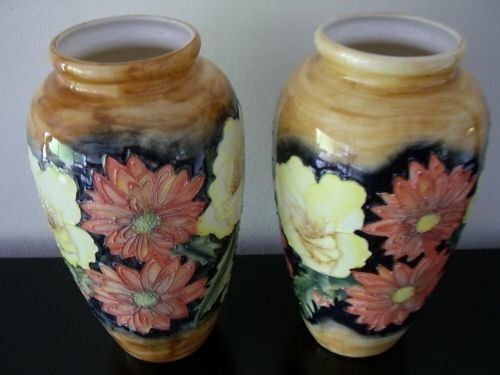 They are probably the only pair in existance today of this size and would be impossible to replace. 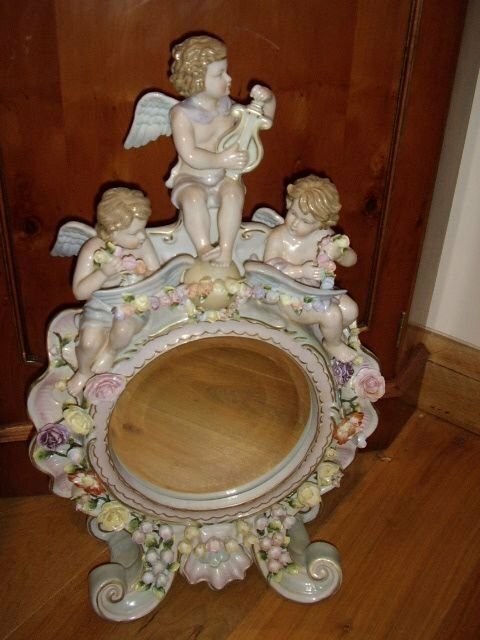 The Measurements are a towering 32 Inches in Height and the bases have a diameter of 9 Inches. 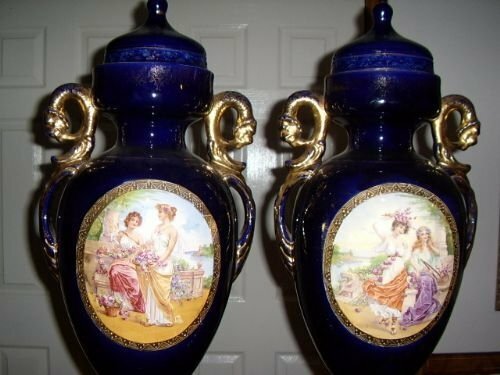 The Width of the vases from handle to handle measures 11 Inches across.